Etiquette dictates that to avoid upset feelings or arguments, there are three things you never discuss at the dinner table: religion, politics, and the lengths of Super Star Destroyers. The last one, in particular, is a topic fraught with controversy with impassioned opinions that have sparked many a damned fool idealistic crusade. This blog is one of them. What’s the kerfuffle about? In case you haven’t heard, the size of the Executor has, for years, been a contested thing. 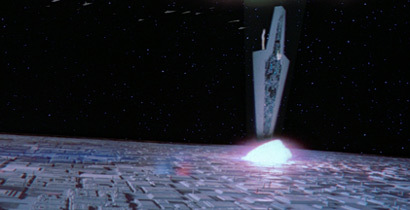 Today’s era of computer-generated visual effects offer an advantage, in that there are set numbers that define the “real” size of CG starships. Sure, some shots may fudge things in the composite, but in general, all the elements within a CG shot are to scale with one another, and by opening up the assets on a computer, you can find out how big a model is supposed to be. 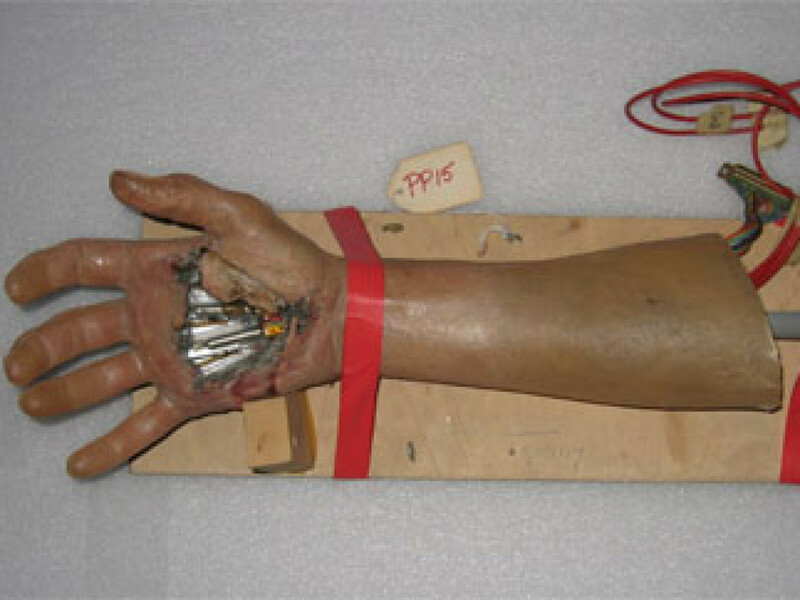 Motion control models, however, aren’t as rigidly defined. Yes, they’re built to a certain scale, but in the set-up of an optical composite, the arrangement of ships can be composed to the frame, rather than true perspective, and it gets harder and harder to establish what the true size of any given object can be. That’s a long way of saying it’s hard to measure a ship by looking at the screen. And that’s what’s spawned all sorts of debate on what the intended size of Darth Vader’s Super Star Destroyer should be. And it shows in the spin-off books and guides that have come after The Empire Strikes Back, in that the size of the Executor has varied over the years. But even here there are camera-based unknowns like lens type and focal length that could affect how big the objects in the image appear. Darth Vader’s Star Destroyer, larger and more awesome than the five Imperial Star Destroyers that surround it, sits in the vastness of space. The six huge ships are surrounded by a convoy of smaller spacecraft. TIE fighters dart to and fro. 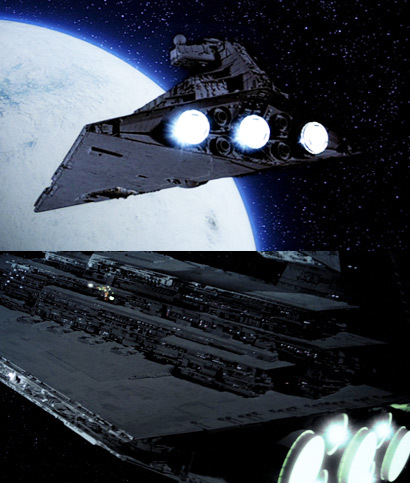 We can take it as canon that the Executor is indeed more awesome than a regular Star Destroyer, but specifics about size are lacking. The next source to weigh in on anything quantitative is The Art of The Empire Strikes Back (1980) which tells us, rather unhelpfully, that Vader’s Star Destroyer has “twice the destructive capability of any craft in the Imperial fleet.” In 1983, in The Empire Strikes Back National Public Radio Dramatization has Lando Calrissian eyeball Vader’s flagship to be about three times the size of Cloud City, a measurement that is no help given that Cloud City’s size is never specified. 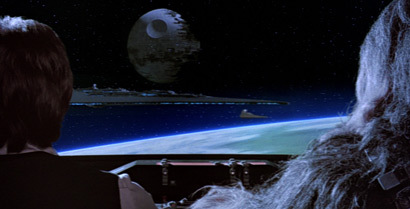 For those doing the math nowadays, based on how big we understand Cloud City to be, that puts the Executor at a whopping 48 kilometers in length, or 30 times the size of a regular mile-long Star Destroyer. The first source to attempt to say anything definitive about a Star Destroyer length is A Guide to the Star Wars Universe, written by Raymond L. Velasco and published by Del Rey Books in 1984. It says, quite firmly, that the Executor is five times the length of a regular Star Destroyer. This locks in the size of the Executor at eight kilometers long (five miles), and for years after that, it was the accepted length. 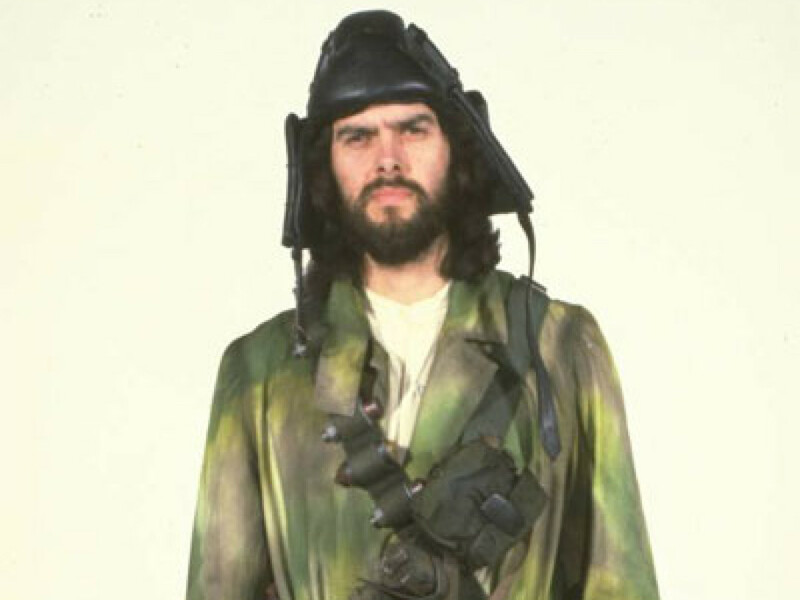 West End Games, publishers of the Star Wars roleplaying game at the time had to adhere to this. 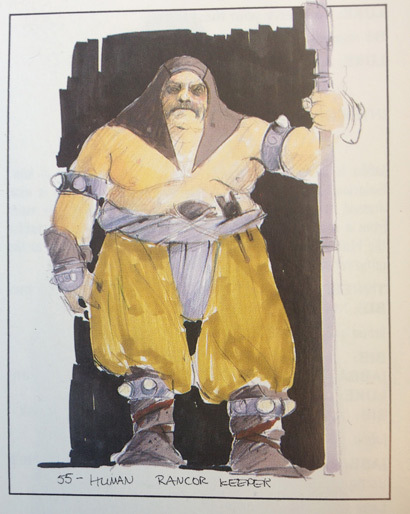 So did the video games that followed in the ’90s, the size charts in the hefty Star Wars Chronicles book, and the first edition of The Essential Guide to Vehicles and Vessels. To this day, I don’t know where Velasco got the five-mile length from, but he had to have good reason. He cites in the Guide as his sources for that entry The Art of The Empire Strikes Back and The Empire Strikes Back itself, but neither source makes that claim. It wasn’t until The New Essential Guide to Vehicles and Vessels that this size got bumped up to 12,800 kilometers in length, and the most recent measurements that came courtesy of later era cross-section books and published blueprints have settled on 19,000 kilometers in length. My how has it grown! But what was the intent of the modelmakers? Is there any way to figure that out? During the filming of The Empire Strikes Back, there were two principal scales for the Star Destroyer model. 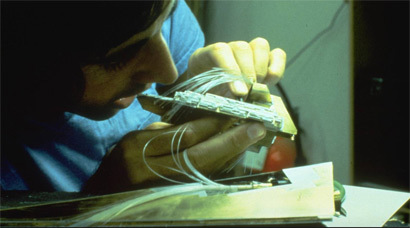 ILM used a 91-centimeter long model originally created for A New Hope for some shots, as well as a much larger 259-centimeter long version for Empire. These allowed them to get different types of shots, including wide shots that wouldn’t require trucking the camera a long distance away. You can tell the difference between the two scales of Star Destroyers by looking at the detail on the engines. But the enormity of the Super Star Destroyer created a wrinkle. It was built a relatively manageable 282 centimeters in length. Capturing the whole thing was possible on stage, but in order to put a regular Star Destroyer in frame with it, you would have had to have a huge floor space to get far away from even the 91-centimeter model so that it scaled properly. To save money and studio space, ILM built a small Star Destroyer out of brass to share the shot with the Executor. It was built of brass so that a hot light source could run from inside the small model without melting the dense little ship. The important thing about the brass Star Destroyer is that it was built to be in scale with the Super Destroyer model. 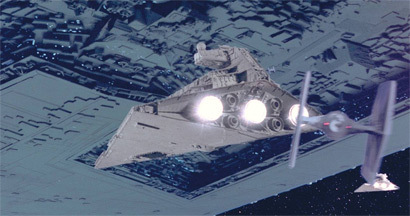 So if the little brass ship is supposed to be a mile long, then we know how long the Executor truly is supposed to be. 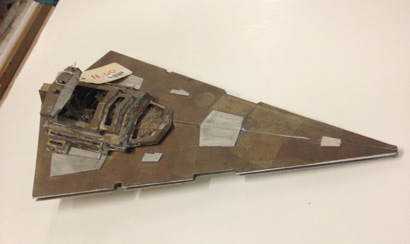 I found the brass Star Destroyer at the Lucasfilm Archives and was able to measure it. It is 33.5 centimeters long. Compare that to the Super Star Destroyer’s length of 282 centimeters long, and that suggests the intended size of the Executor of 8.418 times the size of a regular Star Destroyer. In other words: 13,469 meters long. I say intended size, because I’m not about to weigh in here with a canonical size of the in-universe vessel after all these years. I’ll let someone else duke it out to settle that statistic. But now you’ve got another data point on the ongoing debate. Motion control models, however, aren’t as rigidly defined. Yes, they’re built to a certain scale, but in the set-up of an optical composite, the arrangement of ships can be composed to the frame, and it gets harder and harder to establish what the true size of any given object can be. Han & Chewie would go on to endlessly debate this view. But even here there are camera-based unknowns like lens-type and focal length that could affect how big the objects in the image appear. The next source to weigh in on anything quantitative is The Art of The Empire Strikes Back (1980) which tells us, rather unhelpfully, that Vader’s Star Destroyer has “twice the destructive capability of any craft in the Imperial fleet.” In 1983, in The Empire Strikes Back National Public Radio Dramatization has Lando Calrissian eyeball Vader’s flagship to be about three times the size of Cloud City, a measurement that is no help given that Cloud City’s size is never specified. For those doing the math nowadays, based on how big we understand Cloud City to be, that puts the Executor at a whopping 48 kilometers in length, or 30 times the size of a regular mile-long Star Destroyer. Never trust Lando’s estimates, then. 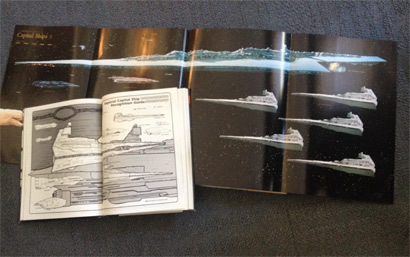 Imperial Sourcebook and Star Wars Chronicles scale illustrations. To this day, I don’t know where Velasco got the five-mile length from, but he had to have good reason. He cites in the Guide as his sources for that entry The Art of The Empire Strikes Back and The Empire Strikes Back itself, but neither source makes that claim. It wasn’t until The New Essential Guide to Vehicles and Vessels that this size got bumped up to 12,800 meters in length, and the most recent measurements that came courtesy of later era cross-section books and published blueprints have settled on 19,000 meters in length. My how has it grown! During the filming of The Empire Strikes Back, there were two principal scales for the Star Destroyer model. ILM used a 91-centimeter long model originally created for A New Hope for some shots, as well as a much larger 259-centimeter long version for Empire. These allowed them to get different types of shots, including wide shots that wouldn’t require trucking the camera a long distance away. You can tell the difference between the two scales of Star Destroyers by looking at the detail on the engines. The smaller ship has three added struts along the perimeter of the primary thrusters. 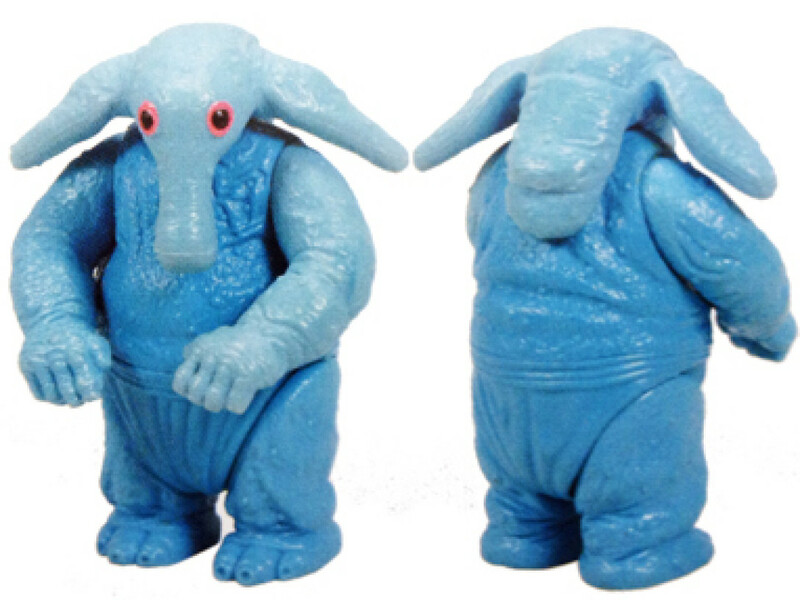 Top, the 91-cm model; bottom, the 259-cm model. Catch: it’s supposed to be the same ship. The foreground Star Destroyer is a different scale than the other two. To save money and studio space, ILM modelmaker Paul Huston built a small Star Destroyer out of brass to share the shot with the Executor. It was built of brass so that a hot light source could run from inside the small model without melting the dense little ship. Edit: The first draft of this entry used kilometers instead of meters in the 12th paragraph.